From this month, We started a new series of Android Apps, where we are going to roundup the best android apps we have come across. Today, we decided to share 5 best android apps that you can download and install right away on your Android smartphones and tablets as well. Shush! is a light and useful android app that adds a convenient DND featurev to your Android device. This feature is really simple to use: put the volume down and specify when exactly you need to put it back up in a pop-up window. When you turn your ringer to silent/OFF, Shush! asks you how long you you have to stay silent. So now if you go to the movie, and silent your phone then this app turns it back on afterwards. 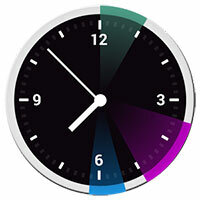 12Hours is a beautiful android app which is a mixture of the analog clock and day planner. If you install this app, you can add the analog clock widget to your smartphone home screen. They have designed the clock with the unique and eye catching design which automatically shows all your calendar events for the next 12 hours. You can use official GOOGLE CALENDAR app with 12Hours. With this useful feature you can see the widget that will tell you when and how long your events, so there is no chance to miss a meeting with your boss. 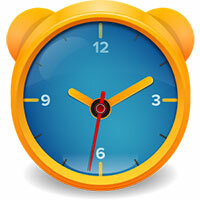 This is the most featured rich alarm clock available on the play store. This app allows you to set a pre-alarm 30min before you really want to get up. This pre-alarm can play very quiet which you will only hear if you are in light sleep. If you are in deep sleep, you will simply sleep through the pre-alarm. This is the optional choice so you can disable it in case if you don’t want it. It also provides more features like dock support, flashlight, you can choose own colors, font size, backgrounds. You can give commands using Google voice like “set alarm at 6am” and so on. 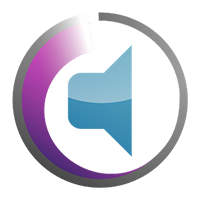 If you are the one who likes to change the wallpapers on your smartphone daily then Backgrounds HD is the app for you. You will get Unique & Superb quality Wallpapers, you can download them and set your lock screen or home screen. 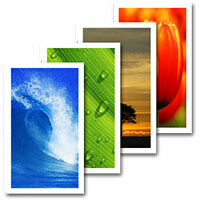 Backgrounds HD android app have easy and intuitive user interface with 5,000+ Unique & High quality images and all of them are handpicked by OCQ. There are many categories to choose wallpapers from including Animal, Buildings, Cats and Dogs, Cars, Colorful, Flowers, Heart, Love, Monochrome, Nature, Paintings, Patterns, People and much more. 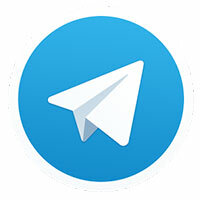 Telegram is a new android messaging app like Whatsapp, Line and Wechat, with a focus on speed and security. It’s superfast, simple and free to download. Group Messaging on Whatsapp is restricted to just 50 members, but In Telegram, you can create group chats with up to 200 people, this is the biggest advantage over whatsapp. Also you can share videos up to 1GB, send multiple photos from the web, and forward any media you receive in an instant. They have also given the option to store all your messages in the cloud, so you can easily access them from any of your devices. That’s this week’s selection, but you can make your own recommendations, or give your views on the apps above, by posting a comment. We will add the best suggested apps into the next week’s Best android apps list. Stay tuned and keep downloading the best apps with us. How To Save WhatsApp Profile Pic To Your Android Phone?